Many thanks to Elise Stevens and Fix My Project Chaos on Podcast 90– Innovation in Projects with Trish Sutter. PMO processes can become inflexible cutting off creativity. Innovation is continuous process improvement. Focus on what’s going wrong. If a company fosters a culture where PMs fear change and then nobody wants to innovate for fear of reprisal and there will be little innovation on projects. Project managers must have confidence in themselves to take the risk. Trusting your team to be experts within their own areas, Trust allows them to explore what they can do that is innovative. Be open minded and creative with your leadership strategy. Allowing failure, in order to allow innovation on projects. Akin to 1 step back in order to take 2 steps forward. Many small incremental innovations can all add up to big changes. Getting external information and stimulation does encourage you and your team to be more innovative. Allow yourself time to think each day on all ideas. Need help getting from innovation to execution? Call me. 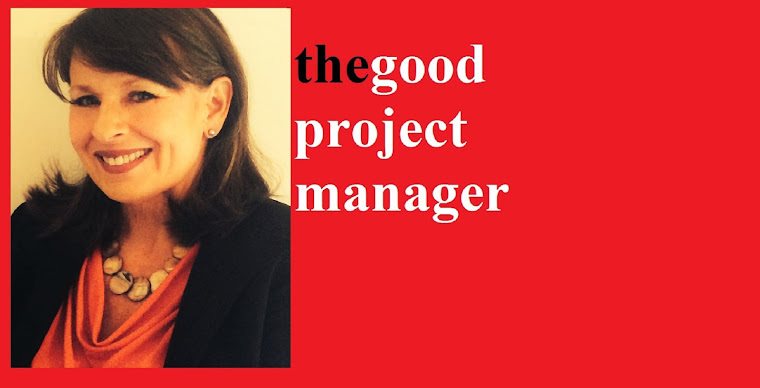 For more information contact Trish at trish_sutter@thegoodprojectmanager.com. I was recently asked if I ever made a mistake that required a public apology. Upon reflection, I am thankful that I have not made any major blunders. Minor mistakes such as omissions, typographical errors and misunderstandings. I have made my share of this type. I can say with 100% confidence that as soon as they are discovered, they are corrected with sincere apology to all impacted. To let something go could only result in more and bigger mistakes. Mistakes made by others. I have discovered mistakes made by folks on my teams before of all kinds. Again as soon as the mistake is discovered it is corrected. I apologize to the whole team for that mistake and keep my team member anonymous. 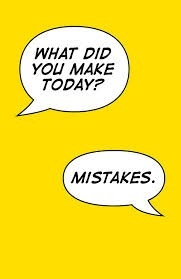 Because we all know that mistakes are valuable and that team member is now more valuable as they have learned from that mistake. You know the old adage hindsight is 20-20. Mistakes through lack of information can and do happen. 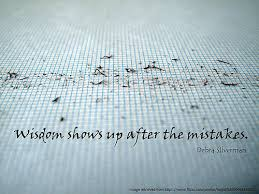 But those aren't really mistakes unless we fail to perform due diligence before making the decision. We can only make the best decision based on the information available at the time. If you have performed due diligence and the information isn't available, be assured that you have done all you could to ensure the decision. When the information comes to light that steers you in a different direction, then correct the course moving forward. You can't beat yourself up for not being a psychic. Making a decision without doing sufficient research to support the decision. Failing to immediately correct a past error. Failing to support your team when they make errors. Discovering an error in a process but failing to correct it moving forward. When I inherit a troubled initiative or portfolio, I do find that the problem usually lies in that the process was not followed. This includes all kinds of failure including but not limited to projects, developments, technology, and mundane things as well. Through trouble shooting it is found time and again that some back stream process was omitted or shortened that cause the failure to occur or reach a large order of magnitude. Correct problems, errors, omissions and misunderstandings as soon as they are discovered. This prevents them from turning into monster problems. Be supportive with your team. They are human. Help them correct mistakes as soon as they are discovered. Do your due diligence before making a major decision. Gather as much relevant information as you can. Check with experts and others. When new information comes to light, correct the process and course moving forward. Follow the process. If you don't know the process do a little research and find out what it should be. Learn from mistakes and correct the process immediately going forward.